Learn the advantages of using rotary vane compressors for your automotive applications. In the automotive industry, piston compressors have been the industry standard for decades, due to low initial purchase costs. However, piston-powered air compressors aren't the best solution for automotive repair. 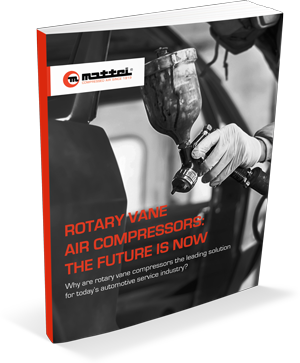 To learn the benefits of rotary vane Compressors' superior technology, please complete the form to the right to obtain your free copy of Rotary vane air compressors: the future is now.